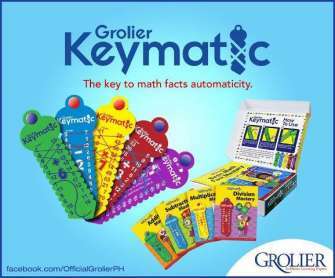 Grolier Keymatic is an important training tool for kids who are just starting in Math or those who are having difficulties. 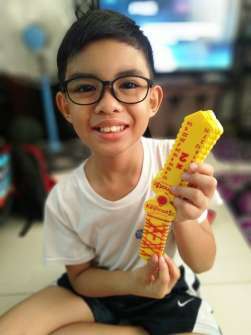 When a kid plays with the key tools, he doesn’t just learn but eventually and in a much faster pace, will be able to memorize and quickly solve. Before we started, Zee was literally overwhelmed when it comes to Math. 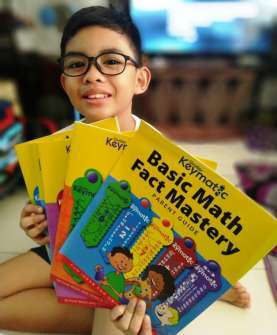 He’s in Grade 4 but still having so many difficulties with the basics. Now, every single day, he takes out his Grolier Keymatic and practices each key – Addition, Subtraction, Multiplication, and Addition. After practicing the Grolier Keymatic, we make him solve different problems on a paper. You know, just to see if he’s learning each day. We kinda make it a bit difficult each time and answers cannot be found in the keys. During weekends, we let him do a page in each workbook, just a page so he won’t get overwhelmed. Besides, we also need to concentrate on his other subjects. The Grolier Keymatic not only made Zee’s life easier but also ours. We no longer have little fights over studying hahaha. No more crying blues. We’ve also observed that his Math grades have greatly improved and no longer needs to be guided or tutored.